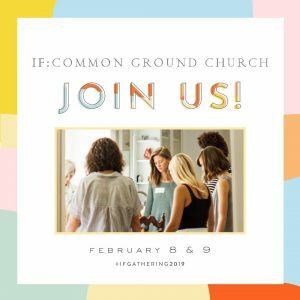 We are so excited to be hosting IF: Common Ground! We will be live streaming the event from Austin, TX alongside over 650,000 other women watching around the world. Our time together will also provide built in conversation time for women to connect locally throughout the weekend. Register here: https://ifcommongroundchurch.iflocal.com/.